SIUE Info Night Is Almost Here! 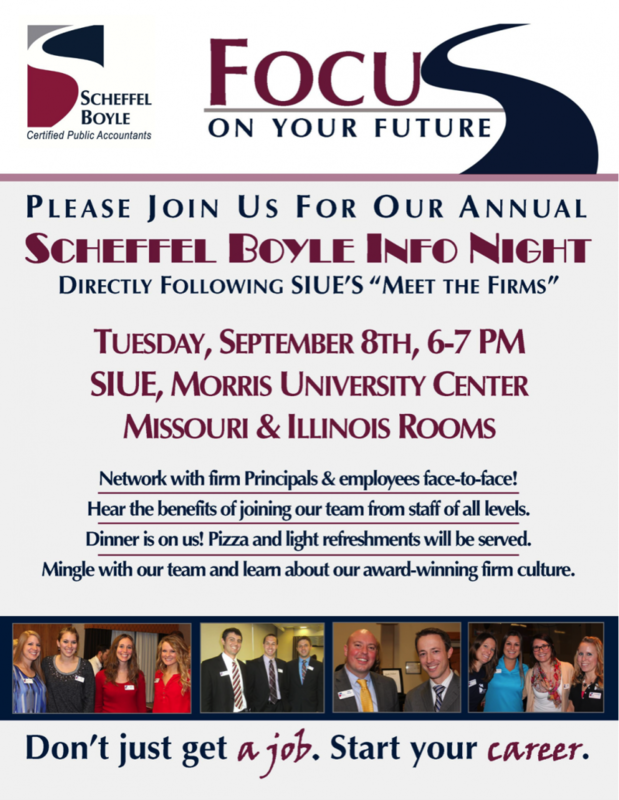 Our Annual Info Night at SIUE is almost here! Spread the word to accounting students you know who want to start their career at an award-winning firm with a rich history in Southern Illinois. https://scheffelboyle.com/wp-content/uploads/2018/06/Untitled-2.png 1347 1042 brett@bonniburns.com https://scheffelboyle.com/wp-content/uploads/2018/02/ScheffelBoyle_WebLogo_Test2.png brett@bonniburns.com2015-08-26 09:28:092018-07-31 10:37:58SIUE Info Night Is Almost Here!